This is one of my favorite kinds of messages to send — where we get to spread the word about the steps we’re taking to help our students and families by doublingdown on a couple of the Key Strategies of The Bellingham Promise – both Innovation and Flexibility, in this case doing something nearly no one else is doing, and A One Schoolhouse Approach, where we are taking away barriers for students, ALL students, to have better access to a high quality education. If you’ve had a teenager in the last decade or so, you probably know that driver’s education is not available in most high schools the way it used to be. 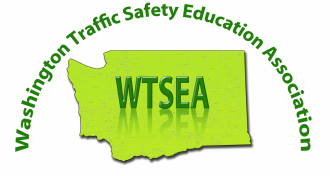 The Washington state legislature stopped subsidizing traffic safety education in 2002, leading most school districts to phase out the expensive but important class altogether. Without a school-provided driver’s education class, more teenagers are getting their license later – many without taking a driver’s education class at all – and this has real impacts for their (and everyone’s) safety. ! " # + % Share Category All Archive 2018 Research shows that teenagers who take a driver’s education class are much safer on the road. A large Nebraska study found that drivers who never took a driving class were 24 percent more likely to be involved in a fatal wreck. And cost is one of the largest factors in determining who takes a driver’s safety class. A recent AAA survey of young adults who didn’t get their license until after they turned 18 showed that 28 percent cited the cost of the classes as a barrier. One of the cornerstones of The Bellingham Promise is our commitment to equity, often referred to as taking a “one schoolhouse” approach. This focus has led us to look closely at the costs families face as their kids make their way through our schools. Through Project Free Education and the incredible work of our partner the Bellingham Public Schools Foundation (BPSF), we have dramatically closed state funding gaps without asking too much financially of our families, including providing school supplies, eliminating fees for athletics and activities, reinstating fifth grade strings, providing fulltime kindergarten, funding significant field trips (such as Mountain School for fifth graders and sailing on the Snow Goose for sixth graders), and much more. This link allows you to see the our steady progression to ensure that all children are served well and equitably in our schools. The Promise is a ‘living’ strategic plan, which means that we are constantly looking at our programs and reflecting upon how we can keep getting better. In that spirit, we have been researching the costs, regulations and logistics involved in bringing a driver’s safety class back as a regular part of the high school course catalog. While there are still a few final logistics to iron out, I’m very happy to say that it is looking like we will be able to make this happen. This new semester-long class will allow students to take the Driver’s Safety Education course during the school day and experience the driver training portion after school and weekends. Part of the class will focus on personal finance and cover topics directly related to the details of purchasing and owning an automobile. Topics will include financial decision making, money management, spending and saving, investing, risk management and insurance. The 2018-19 high school course catalog will be available online and in our middle and high schools in the next few weeks. Bringing back a driver’s education course (officially listed as Traffic Safety and Financial Education) is just one of the exciting class offerings available to our students. I encourage you to take a look and spread the word! The Promise guides us to do all we can on behalf of each and every student. We are able to provide this new opportunity because of the creativity of leaders in our Teaching and Learning Department, such as Steve Clarke, Assistant Superintendent, and Jeff Tetrick, Director of Career & Technical Education, who have spent countless hours working out the details for this program; our fabulous staff who will be getting trained and teaching the course; our new high school schedule that allows more courses to be offered; our partnership with BPSF; and the generous support of our community.